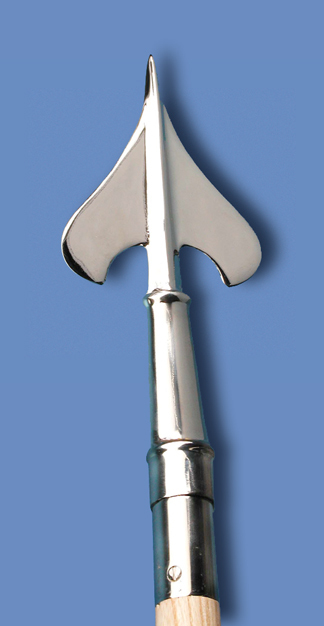 8' two-piece guidon staff with light ash finish. Chrome joints, bottom ferrule diameter of 1 5/32". Available in 7', 8' and 9' lengths. 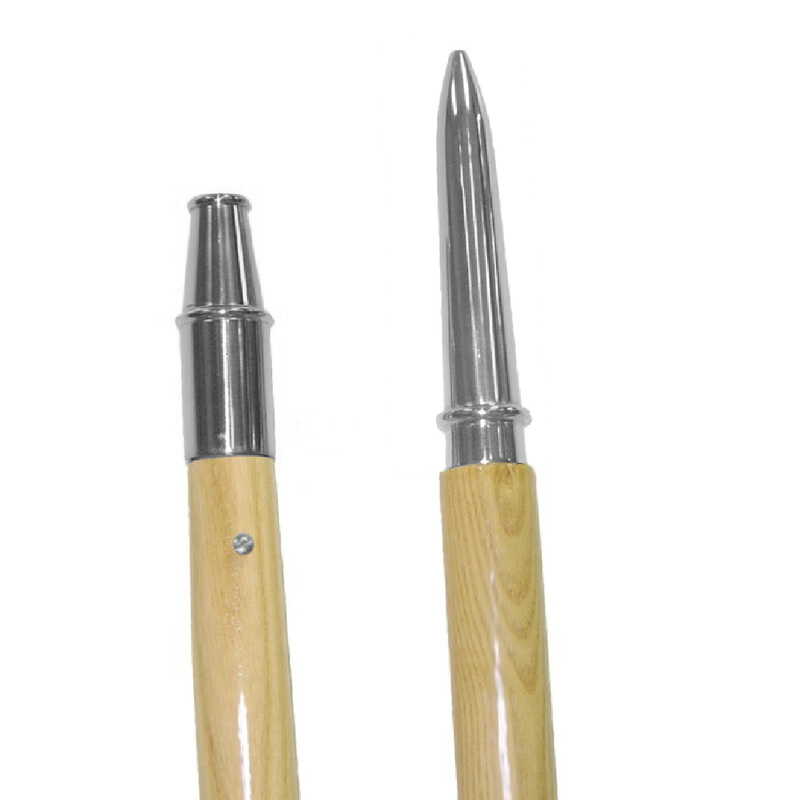 Includes Chrome Army Spear and Chrome pointed bottom ferrule. 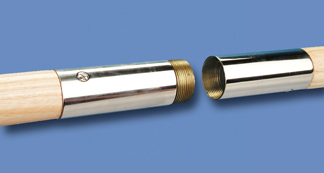 Adapters available to convert poles for use with regular presentation pole stands.